No matter which option the employer chooses, he is confronted with the question of what happens to the minus and plus hours when the employee leaves the employment relationship. In any case, the employer should make arrangements for the compensation of minus and plus hours within the framework of the agreement. A negative balance on a working time account may be considered as a wage or salary paid by the employer in advance if a working time account hast been in place (Bundesarbeitsgericht /Federal Labour Court December 12, 2000 – 5 AZR 334/99). The relevant aspect is whether the employer or employee can determine whether and to what extent the negative credit balance exists. If the working time account allows the employee to manage working time independently, he/she must pay financial compensation in the event of termination of the contract before he was able to correct the account balance. In such a case, the employer may adjust remuneration claims (Bundesarbeitsgericht/ Federal Labour Court December 12, 2000 – 5 AZR 334/99). However, if the employee has accumulated the minus hours on the work account due to a lack of work, the employer cannot demand compensation and cannot offset them against remuneration claims (Landesarbeitsgericht Mecklenburg-Vorpommern/ State Labour Court Mecklenburg-Western Pomerania March 26, 2008 – 2 Sa 314/07). All working time documentation and any communication with the employee regarding the reasons and causes for the minus hours should be recorded in writing due to the burden of proof of the employer. If time compensation can no longer be provided for reasons the employee is not responsible for, the employer must pay out the time credit remaining at the time of termination of employment. If the employee is responsible for time compensation which is no longer possible, this must certainly be assessed differently. Depending on the individual case, it is likely that the employer is not obligated to pay compensation. This may be the case, for example if the employee refuses to compensate for plus hours by taking more leisure time, as contractually agreed to and despite the superior’s order. 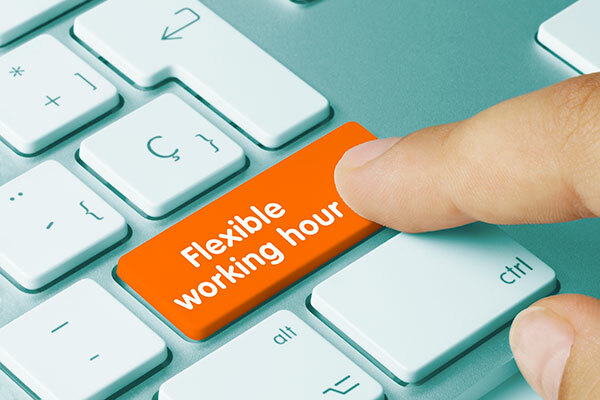 Due to the various contractual possibilities, every company should inform itself comprehensively about the mandatory requirements and anticipated difficulties before introducing a flexible working time model and should in any case seek legal help in designing the individual model.